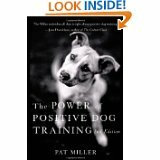 I prefer the training outlined in The Power of Positive Dog Training by Pat Miller. Her method steers away from dominance and punishment, instead focusing on luring and positive reinforcement. 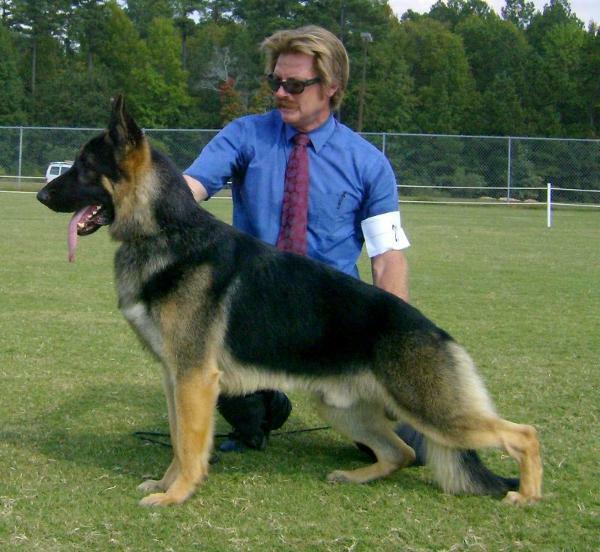 It expands upon the operant conditioning studies of B. F. Skinner and his belief that "The consequences of behavior determine the probability that the behavior will occur again." (Side note: another interesting book on this subject is Don't Shoot the Dog! : The New Art of Teaching and Training by Karen Pryor.) I'm looking forward to trying the exercises from this book with the new puppy. If Ms. Miller is right, my guy will be well-behaved with an entire repertoire of fun tricks in no time. My biggest reservation is the clicker. I don't "click" well. The big question is: will we succeed, or will it be a big mess? Either way I will be blogging the whole thing! 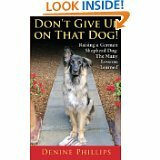 The last book I want to share is Don't Give Up on That Dog! 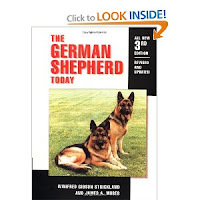 : Raising a German Shepherd Dog: The Many Lessons Learned by Denine Phillips. This book is an absolute joy to read! It's an easy read, not nearly as "heady" as the two previous books. It's essentially a diary of Cooper, a German shepherd puppy the author impulsively brought home. Ms. Phillips honestly shares the good and bad times with this new dog over the next fifteen months. At the end of each chapter is a "Lessons Learned" section full of great tips and resources. I just got the book and can't put it down! And you know I'm going to check out every web address in the book. I'll share the good ones, promise. P.S. All the books mentioned are linked to Amazon.com, just in case you're interested. Let me know what you think!